With 16-year-old American actress and singer Auli’i Cravalho voicing the main character and Dwyane Johnson voicing Maui, Moana is backed by a supporting case of Rachel House, Temuera Morrison, Jermaine Clement, Nichole Scherzinger and Alan Tudyk. Disney’s latest animated fantasy adventure film features Moana, the daughter of the chief of a Polynesian island. 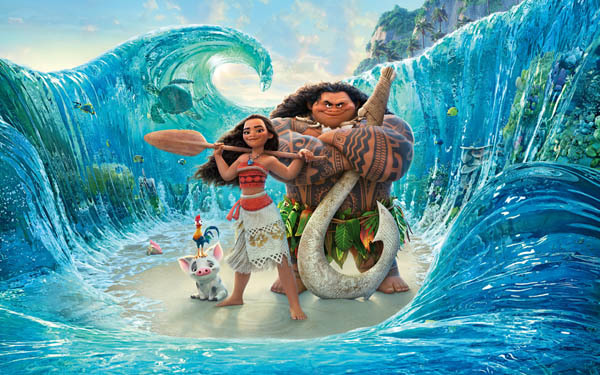 Despite facing pressure of being the next chief of the island, Moana chooses to venture out into the sea to find Maui, a demigod, to restore life into her island. A teenage girl off on an adventure in the company of an animal sidekick, Moana may not be a princess but fits into the mold for princesses that Disney has created. 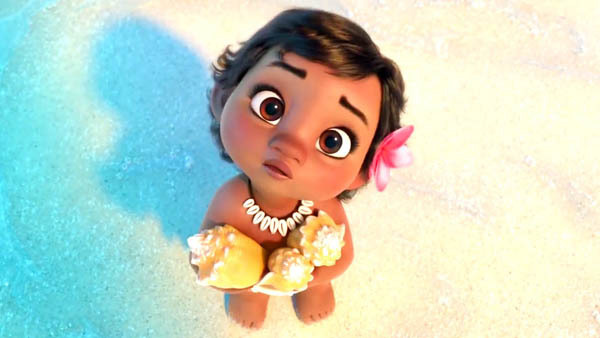 A strong willed, smart, brave and inspiring heroine, Moana is certain to be the role model of thousands of young girls. With a little rebellion, a pinch of scary and plenty of light hearted fun, Moana is the perfect movie for a family outing. The film is directed by John Musker and Ron Clements, renowned for their directorial work on films such as The Little Mermaid, Aladdin, and The Princess and the Frog among other projects. The film was released on November 23, 2016. The short film, Inner Workings, accompanied the film, theatrically. The film has been a critical and commercial success and is also considered to be a part of the Disney Revival. After directing The Princess and the Frog, Musker and Clements started working on an adaptation of Terry Pratchett’s Mort, but rights problems prevented them from continuing with that project. To avoid similar problems, they pitched three new ideas, and in 2011 started developing the film based on an original idea. Moana is Musker and Clement’s first fully computer-animated film. Moana Waialiki is Disney’s first Polynesian princess. Although initially rumored to be made in hand-drawn/computer-animated technique introduced with Disney’s short film Paperman, Musker said that it is “far too early to apply the Paperman hybrid technique to a feature. The Meander digital in-betweening interface still has a host of production issues (including color) that need to be perfected.” According to Musker, the idea of an animated film set in the South Pacific was both intriguing to him, and John Lasseter. After pitching the idea, a team was sent to the South Pacific for a two-week research trip. In during which, they met with chiefs, navigators, experts, and natives to garner understanding of the culture. The following research trip involved the animation and music teams. To ensure cultural accuracy, the studio created what was dubbed the “Oceanic Story Trust”. The group consisted of anthropologists, cultural practitioners, historians, linguists, and choreographers from islands including Samoa, Tahiti, Mo’orea, and Fiji. The trust served as consultants for the filmmakers and played a major role in developing every aspect of the movie. During their research, the filmmakers learned that voyages across the South Pacific ceased for a thousand years. About 2,000 years in the past, they started once more, but the reason for the lull period had never been definitively confirmed, given the oral state of the culture. Moana is meant to act as Disney’s interpretation of an explanation. On October 20, 2014, Disney announced that Moana‘s release date would be late 2016. In November 2014, Dwayne Johnson (also known as The Rock) was announced to voice the demigod Maui and join Moana on her action-packed voyage. As revealed at the 2015 Disney D23 expo, the film is to be scored by Mark Mancina, Opetaia Foa’i, and Lin-Manuel Miranda. According to John Musker, the music will be a fusion of the three collaborators, with the Pacific roots of Opetaia, the sense of narrative from Miranda, and Macina’s sense of “world music”. On October 7, 2015, Walt Disney Animation Studios released a video announcing the casting of 14-year-old Hawaiian native, Auli’i Cravalho, who will officially portray Moana. Dialogue recording for the film was completed on July 16, 2016.